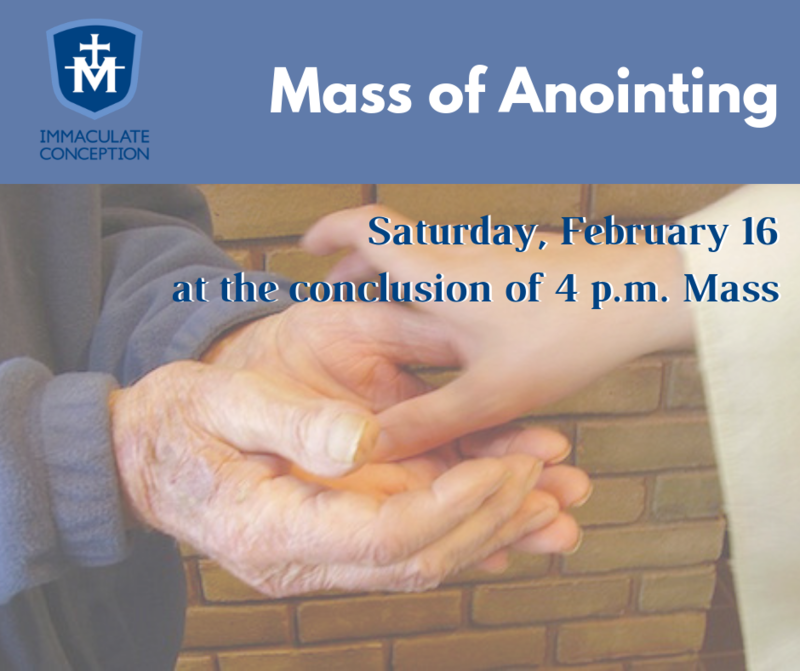 All are invited to join and participate in our annual Anointing Mass on Saturday, February 16 at 4 p.m. If you or a family member is sick, we encourage you to receive this Rite of Healing. Immaculate Conception hosts the Mass of Anointing in conjunction with the World Day of the Sick, to be celebrated on Monday, February 11, 2019 and coinciding with the commemoration of Our Lady of Lourdes. Pope John Paul II initiated the day as a way for believers to offer prayers for those suffering from illnesses. Lenten Fish Fry Fridays Begin March 8!